The Cowboys are a 4-12 team that needs help. Lots of it. And right now. Implementing that simple strategy, there is no way I’d advocate trading down in the upcoming NFL Draft. Right, 2009? It was then that Dallas’ pursuit of quantity-over-quality – achieved by trading down – saddled it with arguably its worst draft in franchise history. With the No. 4 overall pick I’d love to see them address their lack of a pass rush by taking Ohio State defensive end Joey Bosa. I’ve heard some draft experts say trading down and adding more picks is the way to go. I couldn’t disagree more. I know, Jerry Jones has had success (Dez Bryant) and failure (Morris Claiborne) trading up. And he made a shrewd move down to pick up both Travis Frederick and Terrance Williams in 2013. But now isn’t the time for getting cute. Now certainly isn’t the time for 2009. Because of the hideous trade for receiver Roy Williams, the Cowboys went into ’09 with the 51st pick overall. Jones traded, then traded again, eventually winding up with more picks, but not starting until No 69 overall, in the third round. The Cowboys drafted 12 players, all of whom were off the roster by kick-off 2013. 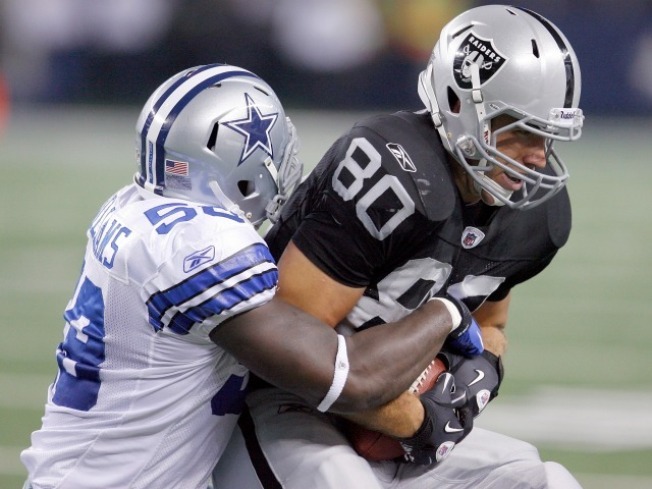 While drafted players like Matthew Stafford, Brian Orakpo, Clay Matthews, Alex Mack, Vontae Davis and LeSean McCoy are in their prime, the Cowboys went with forgettable names like Jason Williams, Robert Brewster, Stephen McGee and DeAngelo Smith. If they were coming off a 12-4 season void of glaring holes, sure, trade down and build for tomorrow. But these Cowboys and their aging quarterback should have too much urgency not to draft a player that can help them today.